Everything small is a top trend for baby showers, from bite-sized menu items to mini desserts, and our 2oz Small Baby Shower Honey Jar Favors perfectly suit that small-sized baby shower style! 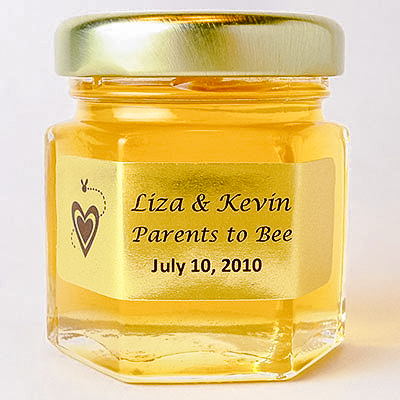 Our NJ honey favors fit a honeybee-themed baby shower, Winnie the Pooh-themed baby shower, spring- or summertime-themed baby shower, and so many other baby shower themes. 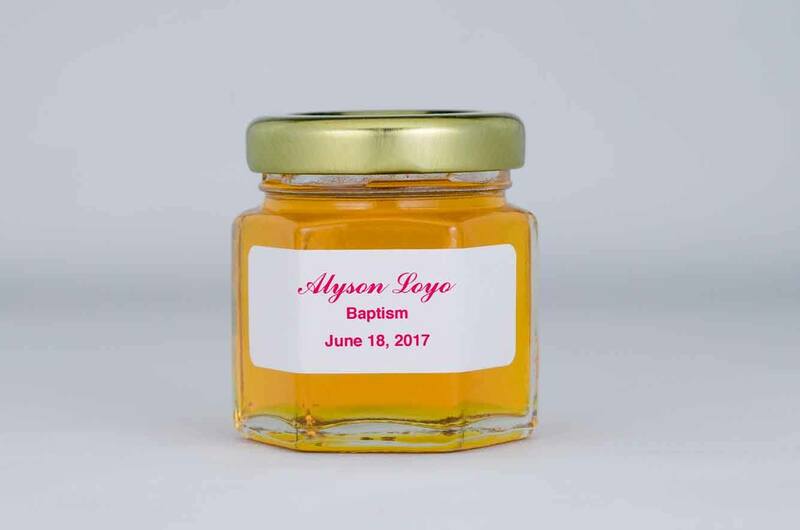 Plus, guests love finding our small honey jar favors awaiting them at their seats, or displayed adorably on a ‘take one’ favor table. 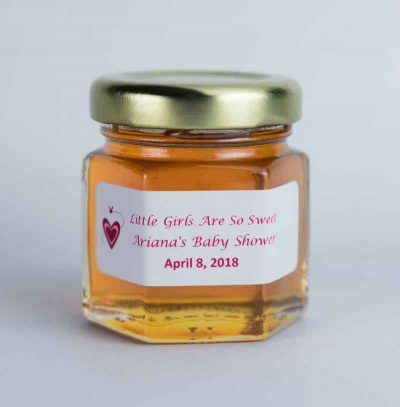 See our DIY baby shower favors for ideas and inspiration to help you choose the perfect honey baby shower favors for your party. 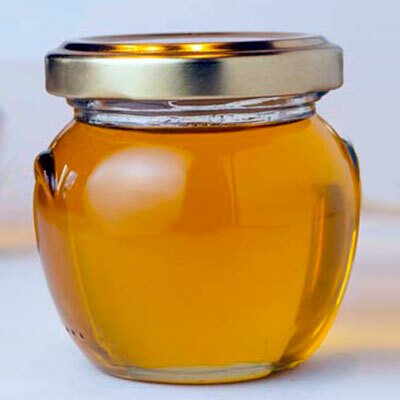 Our 2oz Small Baby Shower Honey Jar Favor offer a delicious treat with our Spring Wildflower natural honey, a delectable gourmet favor that your guests (and you!) will love. 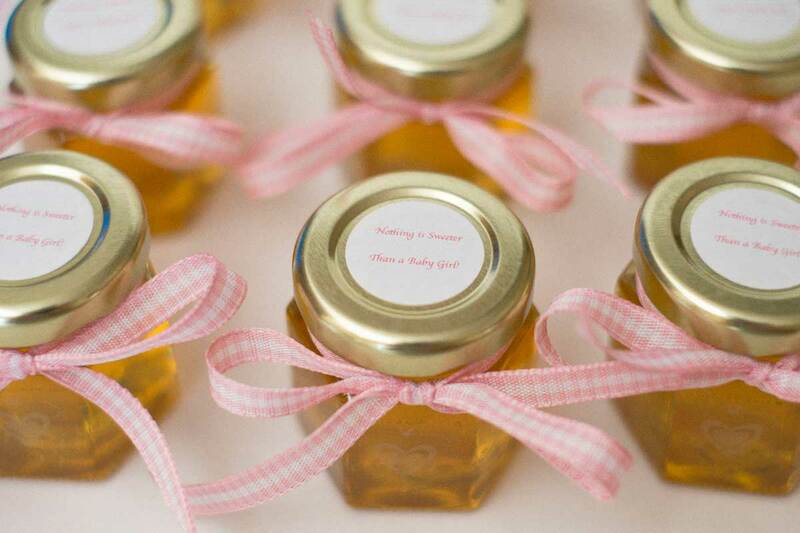 Not only is honey a top baby shower favor idea, our all-natural NJ Fresh honey adds a 100% pure element to your baby shower offerings, and our small honey jar favors look cute as well! 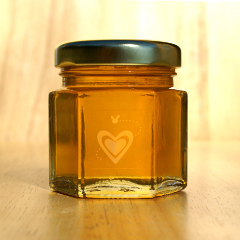 Each jar is accented with a clear Heart with Flying Bee label™ and gold lid, and you’ll enjoy personalizing them with DIY favor accents. 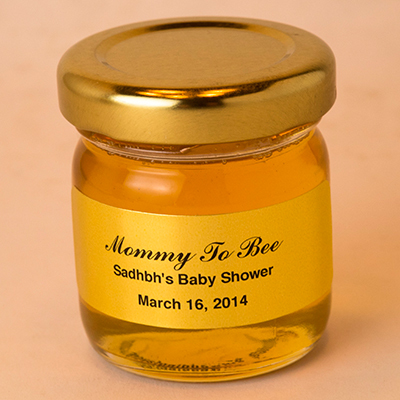 Add a DIY touch to your NJ honey baby shower favors with our Personalized Baby Shower Labels and our tied-on Old-Fashioned Wooden Honey Dippers will complete your DIY baby shower honey favors.